If you’ve bought your own wood to make do a spot of DIY or a construction project, inevitably you’re going to be left with odds and ends of timber. As luck usually has it, they’re either seemingly too short to be of any use or slightly too long to warrant taking to the tip. But there’s one creative and easy way you can put your timber offcuts to good use – by making your own recycled wooden planter. Ideally, for this project you’ll also need offcuts of timber logs, which can be easily and very cheaply obtained from timber yards. 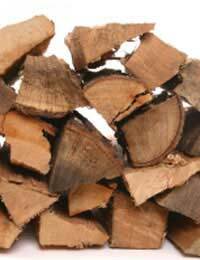 Ask around – there also may be plenty of people having trees pruned and cut who will be more than happy for you to take away the logs for them. For the ‘cladding’ on each side of the planter, you can either use logs of rough timber cut through the centre lengthways, or additional lengths of rough sawn timber. Firstly you’ll need to make sure that you’re working with consistently sized widths and lengths. To make your planter base, cut three widths of 3 x 2, making sure that your base is square. You’ll then need to measure and saw two lengths of 2 x 1 and nail them to the base, making sure to position them on the base where you’ll eventually connect the four sides that make up the planter. Your next job is to cut four pieces of 3 x 2 section to make a frame the same measurements as the base. This frame is firmly secured on top of the planter and forms the base of each side of the planter. You’ll then need to take a piece of 2 x 1 and make pilot holes widthways through both ends of the wood. Using galvanised nails, fix the frame together to create a ‘U’ shaped frame. This then should be attached to the base. You should now have one rectangular side of your planter constructed. Repeat this step to construct the opposite side of your recycled wooden planter. Now that you have a base and frame attached, the next job is to cut the cladding for your recycled wooden planter. You need to make sure that the rough timber or sawn logs don’t overlap, otherwise you’ll have problems fitting all of the cladding neatly in place. As a rough guide, each piece of cladding will need to be around 12 inches long. Next, you’ll need to stand the planter sideways on a workbench, clamping firmly in place. Measure your rough-edged timber or sawn timber logs to size, and securely nail the rough wood in place at the base end and frame end. The final job is to select pieces of cladding that will fit around the frame to clad the remaining three sides. This may require some trimming and cutting to get them to fit exactly in place, but once the job is done you can line your planter with plastic (making sure to punch in holes to allow for drainage), line the bottom with crocks or gravel, fill with compost, and then plant up. Over time your recycled wooden planter will weather, creating a stunning and complementary natural-looking feature for your garden or patio area.